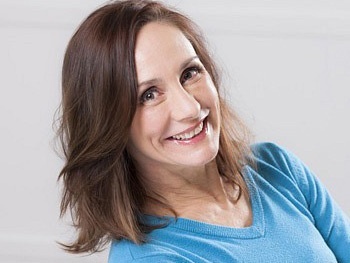 Looks like all that medical jargon Laurie Metcalf learned for Broadway’s The Other Place is going to come in handy again. The Emmy winner’s new pilot Getting On just received a six-episode order from HBO, according to Deadline.com. Adapted from the popular British series of the same name by Big Love creators Mark V. Olsen and Will Scheffer, Getting On follows the doctors, nurses and administrators working in the women's geriatric wing of a hospital. Metcalf will play the socially challenged and overworked Dr. Jenna James, the hospital’s temporary Director of Medicine who also holds a position at another hospital. The show co-stars Niecy Nash (Reno 911!) and Alex Borstein (Family Guy, MADTV). Metcalf most recently earned critical acclaim for her star turn as Juliana Smithton, a neurologist battling dementia, in MTC's The Other Place. Metcalf received a Tony nomination in 2008 for her role in David Mamet’s November. Her additional Broadway credits includeBrighton Beach Memoirs and My Thing of Love. She won three Emmy Awards for playing Jackie on TV's Roseanne.